According to the National Association of Realtors, if your house is priced accurately, you should get one offer every 7 showings. In an average market, you should get 1-2 showings per week. If your house is not getting shown, it means your price is too high for the location. RECOMMENDATION: A significant price adjustment. If your house is getting shown, but you are not receiving any offers, it means the potential buyers are finding more desired homes for their money. RECOMMENDATION: A moderate price adjustment. If your house is getting considered, but the potential buyers eventually buy another property. Additionally, if the potential buyers view the house on multiple occasions, but ultimately buy another property, it means you are close and definitely in the correct price range. RECOMMENDATION: A minor price adjustment. MAXIMIZING PRESENTATION FOR THE SHOWINGS…WE WANT TO ATTRACT THE 5 SENSES! The property is clearly the most important aspect of the showing. Although, if you can sub-consciously attract the potential buyer’s 5 senses, you position yourself for an increased opportunity of selling your home for the asking price or possibly higher in a fast, effective process! Sight – If showing during the daytime, be certain to open all curtains and turn on all lights, so maximum sunlight and artificial light enters the property. If the showing is in the evening or night, turn on all lights to better illuminate the property. Always make sure the house is free from clutter. Smell – Have some form of Air Freshener ex. incense, candle, febreze, plugins etc… Fresh baked cookies are always a hit! Think about the fresh smells when entering a model home. Touch – Clean your home as much as possible, and even hire cleaners before the showing. During the showing, allow the buyers to roam freely through the house un-interrupted. Sound – Have some light relaxing music playing in the background. My personal recommendation is some JAZZ! Taste – Have water or soda available as well as some chocolate or candy to offer the potential buyers when they enter the property. Once again, homemade cookies are a hit! Wallen Realty even offers professional staging services at an affordable price for clients who prefer to save time, and have an expert opinion. Your hard work is finished. Pick up a magazine while you are waiting, or leave the house and run some errands. Try to be as welcoming and understanding as possible with strangers in your house. Your real estate agent may possibly have numerous property showings scheduled, so be prepared for them to be a little early or late. It is sometimes difficult to keep a specific schedule when viewing properties as appointment times can vary widely based on how long a client spends at each property. Keep Buddy away. Whether the potential buyers like animals or not, the animal will be a distraction either way. Most kids have not experienced a showing in their house, so naturally they will be excited. They may be especially excited with new people in their house. This will most likely disturb the professional flow of the showing. If allowing them to stay in the house, ask them to avoid disrupting the agent and buyers, go outside and play, or watch TV. Answer the door as you would for any welcomed guest. The agent will take care of introductions. If there is a situation that needs mentioning, perhaps a sick child in the second bedroom, do so now. You may invite the agent to begin showing the home, and then you may excuse yourself. Try your best to discretely stay away from the buyers during this time. As helpful as you may want to be, your presence would most likely be intimidating. The potential buyers should be allowed to personally discuss the home freely with one another. The agent will attempt to learn the buyer’s needs based on how they are responding to your home as well as through conversation. Your presence may possibly limit that free communication. If you are asked any questions about the neighborhood, neighbors, schools, etc., answer pleasantly. However, prevent yourself from becoming engaged in a conversation. Questions regarding terms of sale should be referred to the agent. If the agent is a cooperative broker and does not have the answers, advise him or her that I, your agent, will contact them. The listing sheet should clearly specify items that are included and excluded for the offered property. Be sure not to initiate conversations about other personal property that you may be interested in negotiating. It is rarely a deal clincher, may be distracting, and there will be time to discuss this when the offer is presented. As much as you love your home, don’t be tempted into doing the agent’s job. The agent has been working with the potential buyers and knows precisely what is important to them. Our agents will request all offers in writing. We will pre qualify every potential buyer and may request a financial statement with the offer. Since we owe our fiduciary responsibility to you the sellers our goal will be to negotiate the highest price possible keeping in mind not to discourage the interest of the buyer. With countless transactions and negotiation experience we will guide you through every step of the way making sure you have a stress free, successful transaction. Our broad marketing efforts may sometimes produce more than one buyer interested in purchasing your property. Our agents are trained in coordinating healthy bidding wars and finishing with a professional, ethical process. 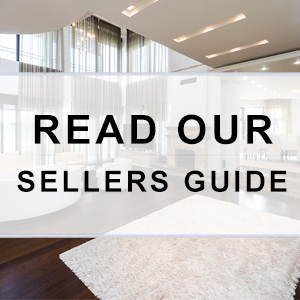 It takes a skilled, experienced broker to coordinate a successful bidding war.